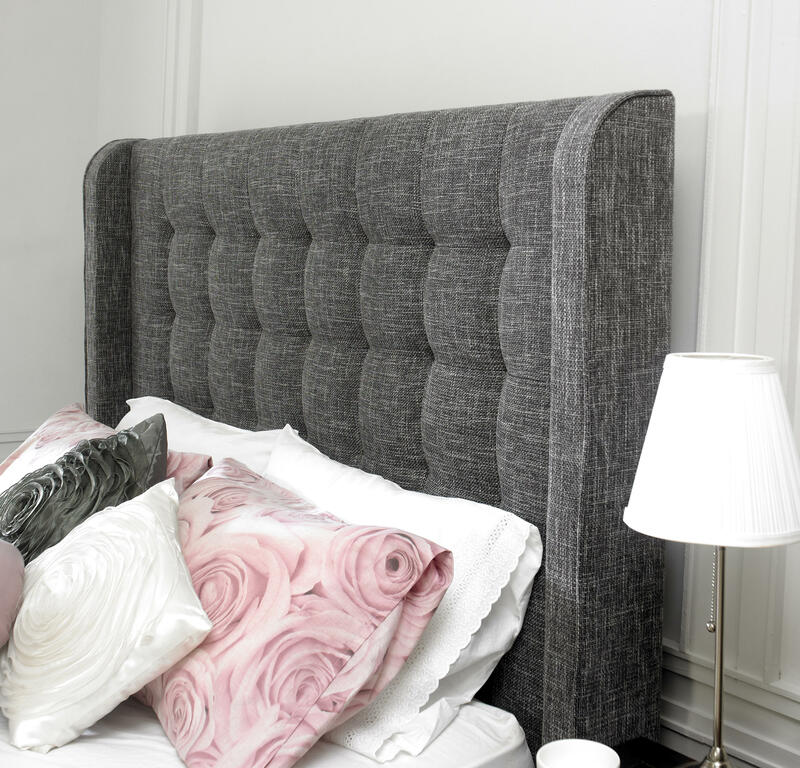 The Aquila bed is a stunning modern show-piece bedstead in a beautiful slate waffle fabric. Featuring a deeply upholstered, extra tall headboard with distinctive wings. Spring slatted base gives extra comfort and prolongs mattress life.